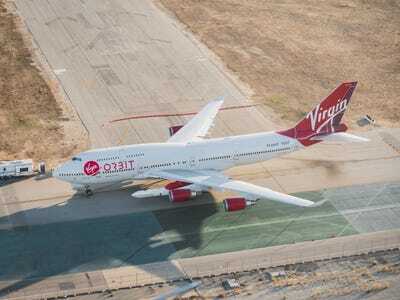 Virgin Orbit; Business InsiderVirgin Orbit’s modified ‘Cosmic Girl’ jet aeroplane will soar the ‘Launcher One’ orbital rocket to a mid-flight launch. Sir Richard Branson’s newest space company, Virgin Orbit, just debuted its full rocket-and-aeroplane launch system for the first time. 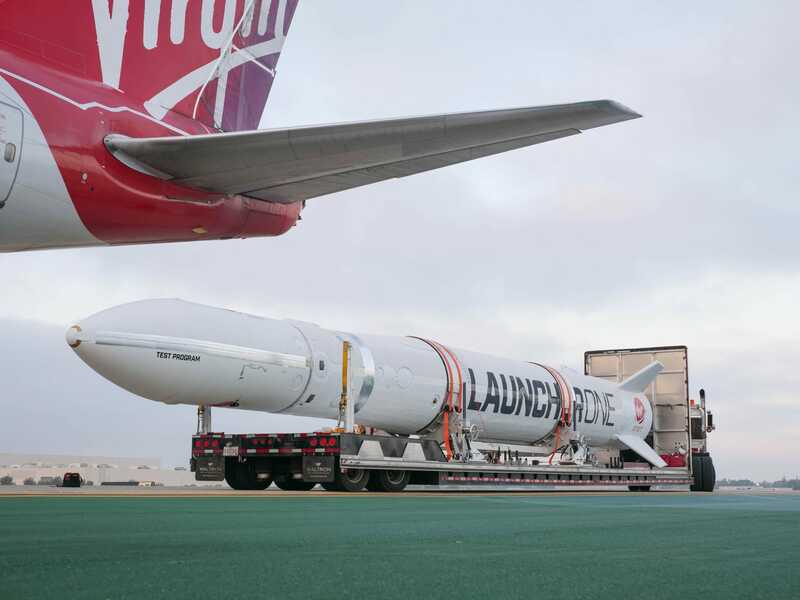 “Air launch frees missions from traffic jams at the existing launch sites; eliminates the need for costly, fixed ground infrastructure; and makes the system more resilient to unfavorable weather conditions,” the company said in an emailed press release. 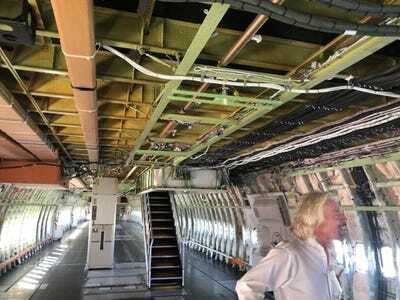 Here’s what the new system looks like. Sending a rocket into space is astronomically expensive. 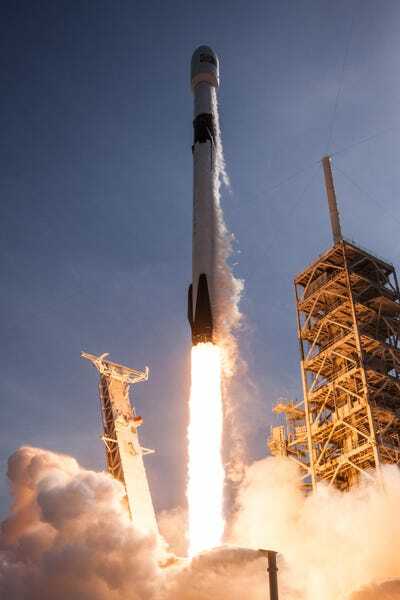 Even the most affordable launch vehicles today, such as the Falcon 9 rocket built by Elon Musk’s space company, SpaceX, can cost more than $US62 million per flight. SpaceX via Flickr (public domain)A Falcon 9 rocket launching toward space. Virgin OrbitVirgin Orbit’s LauncherOne raised up to the port-side wing of Cosmic Girl. 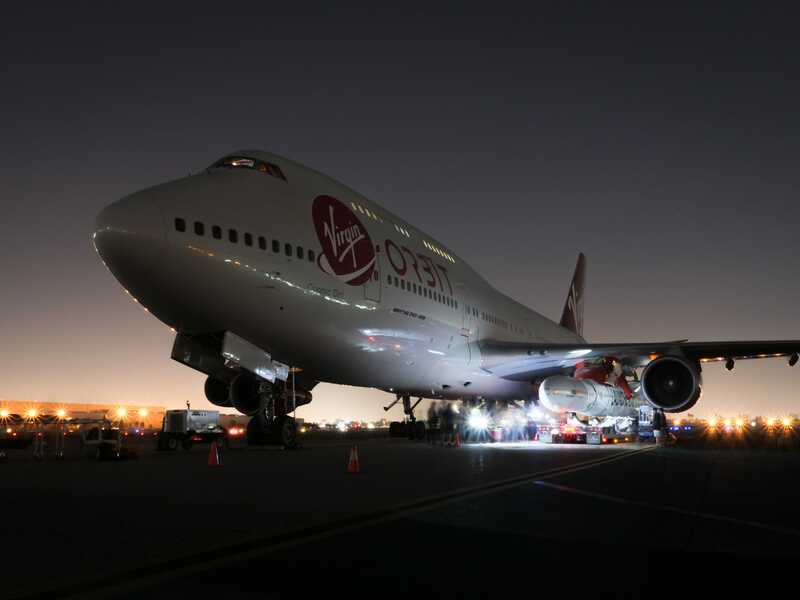 Virgin OrbitVirgin Orbit’s LauncherOne orbital rocket mated to Cosmic Girl. 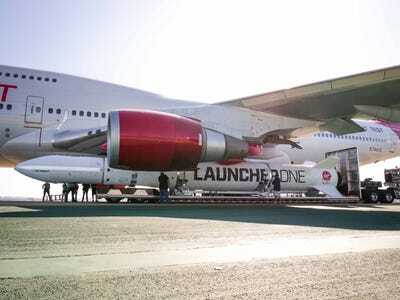 Giving companies this option for small launches would allow them to avoid having to piggyback on a larger spacecraft into orbit around Earth. 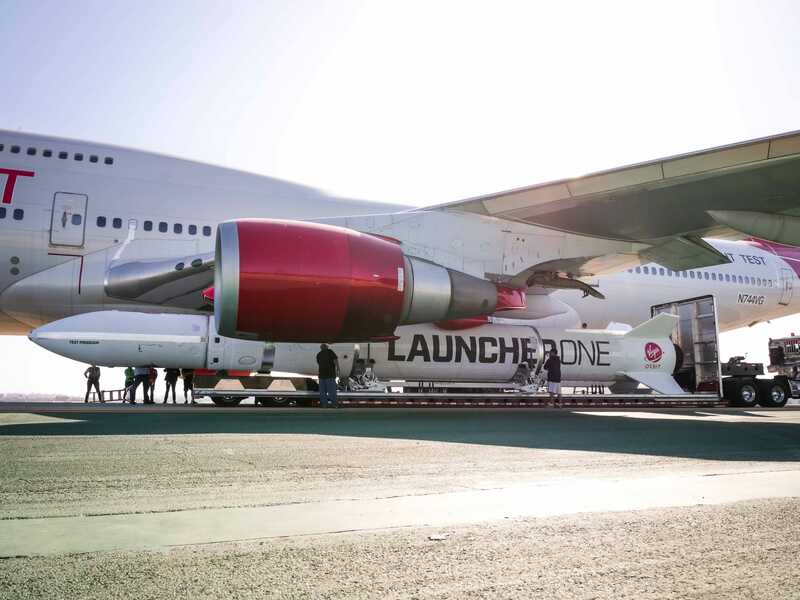 That approach — called a ride-share — can make getting into space cheaper, but it comes with headaches. Virgin OrbitLauncherOne has been in development since about 2015. 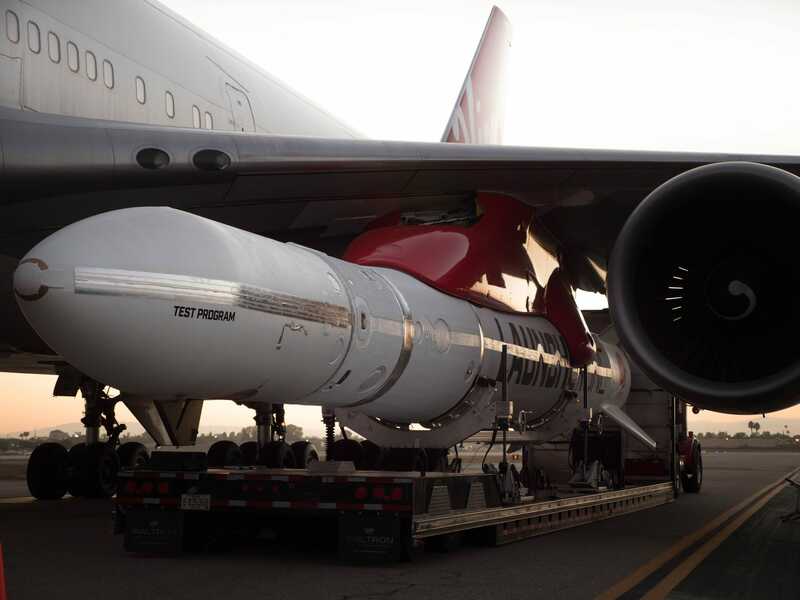 The small ride-sharing payloads are tied to bigger, primary payloads, which are controlled by the main spacecraft’s owners. 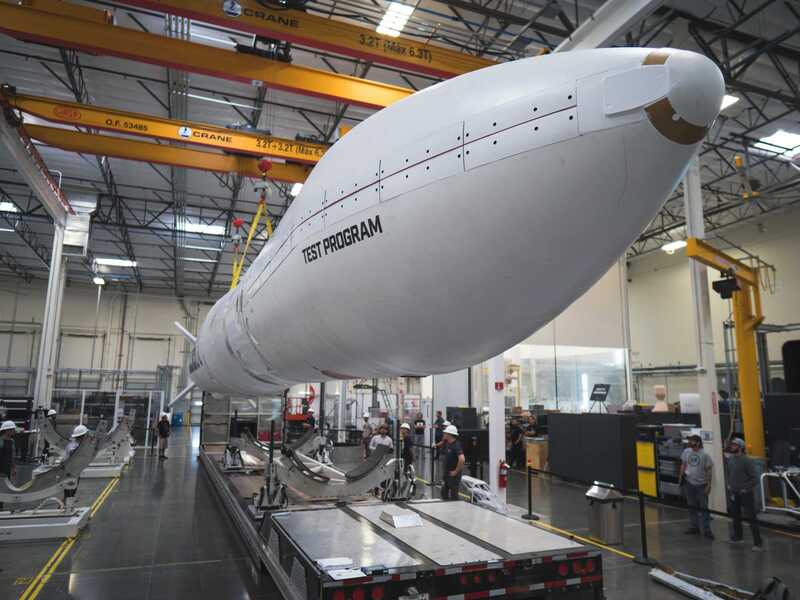 Any delay with the larger spacecraft can push back the launch by months or sometimes years. 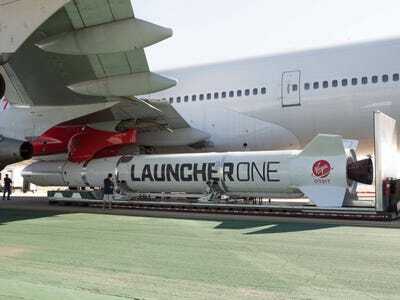 Virgin OrbitVirgin Orbit’s LauncherOne orbital rocket. Virgin OrbitLauncherOne rolling out to the specially converted Cosmic Girl jet aeroplane. 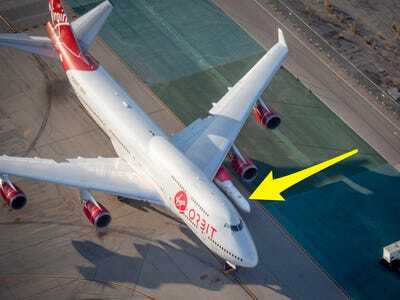 Virgin Orbit’s air-launch concept isn’t new — it’s used today by a company called Orbital ATK, and NASA and the US military have also used it over the decades. Virgin OrbitVirgin Orbit’s LauncherOne orbital rocket attached for the first time to Cosmic Girl. Virgin OrbitSir Richard Branson inside Cosmic Girl, which has been stripped down to reduce weight and allow Virgin Orbit to attach LauncherOne to its port-side wing. 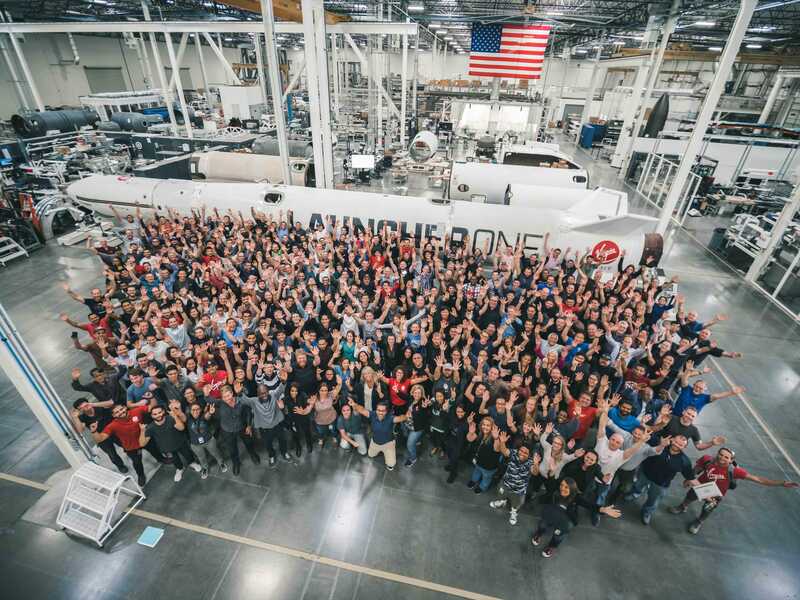 So Virgin Orbit has been busy designing, building, and testing LauncherOne’s and Cosmic Girl’s systems near Long Beach, California, and at the Mojave Air and Space Port. 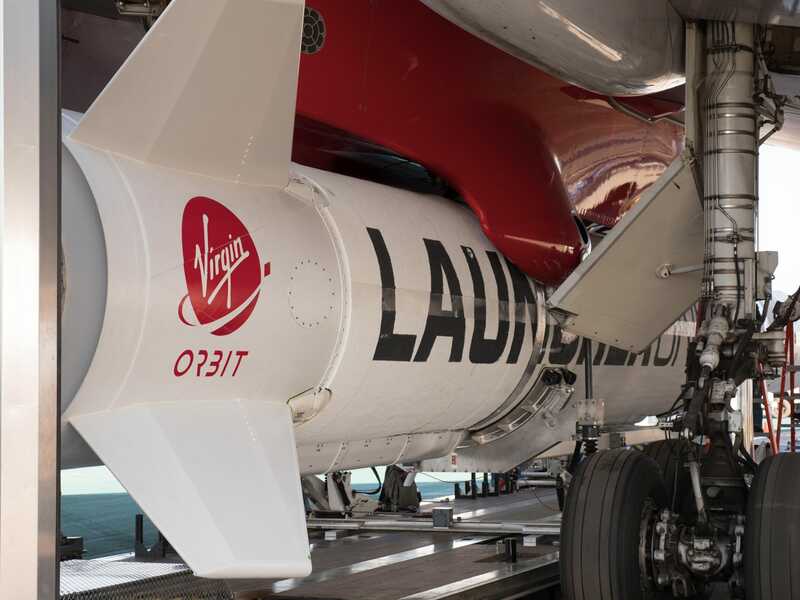 One of the first rockets is now finished and preparing for integrated test flights. LauncherOne is 70 feet long and weighs 57,000 pounds; it’s about the size of 25 passenger cars. 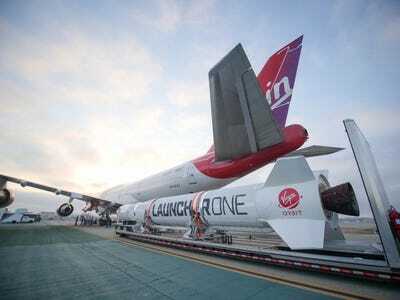 The rocket is designed to send up bread-loaf-size to refrigerator-size satellites, which “will deliver everything from internet, in even the most remote regions, to advanced weather-tracking systems to help in the battle against climate change,” the company said. 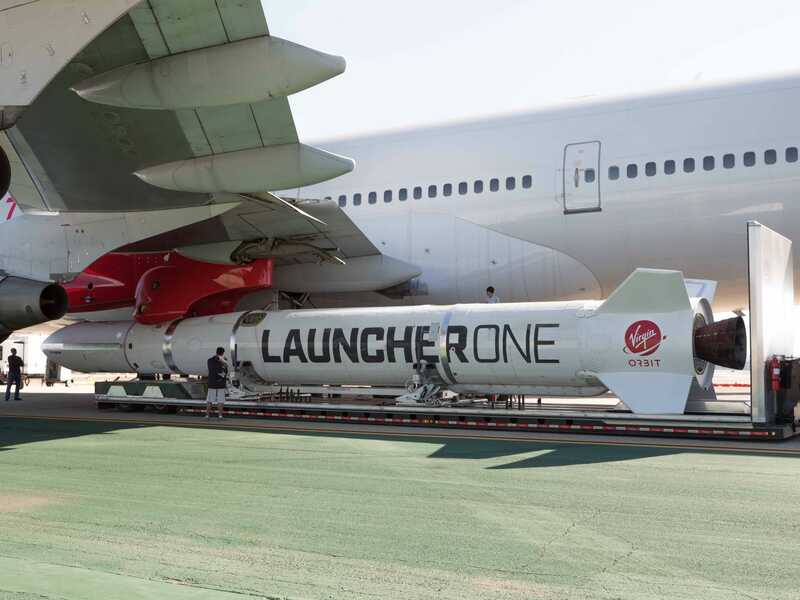 The company mated (or attached) LauncherOne to a pylon under Cosmic Girl’s wing on Thursday at its base in Long Beach in less than 24 hours. 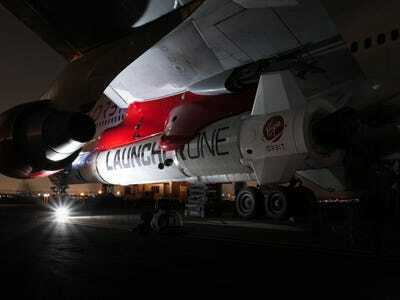 Preparing a rocket for liftoff on a launchpad, including attaching a payload, normally take days to weeks. 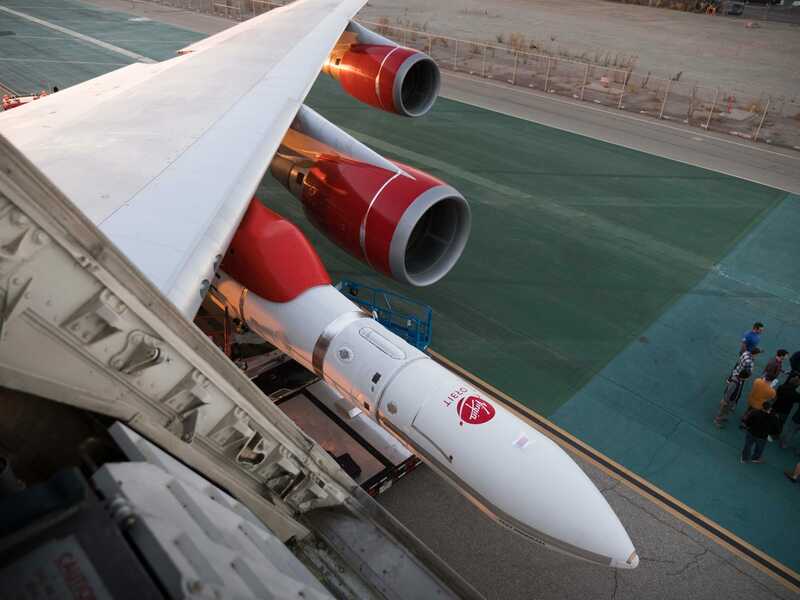 “The fact that we shipped a rocket on this route, positioned it under the aircraft, integrated the system, and verified that that it all works together for the first time all within a single day still astounds me,” Dan Hart, Virgin Orbit’s CEO, said in a press release. 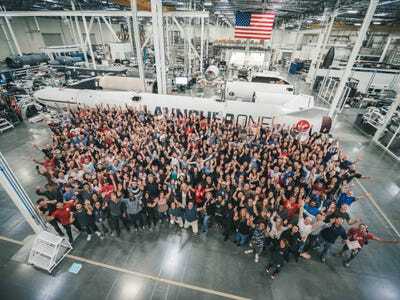 Virgin OrbitVirgin Orbit employs more than 300 people. 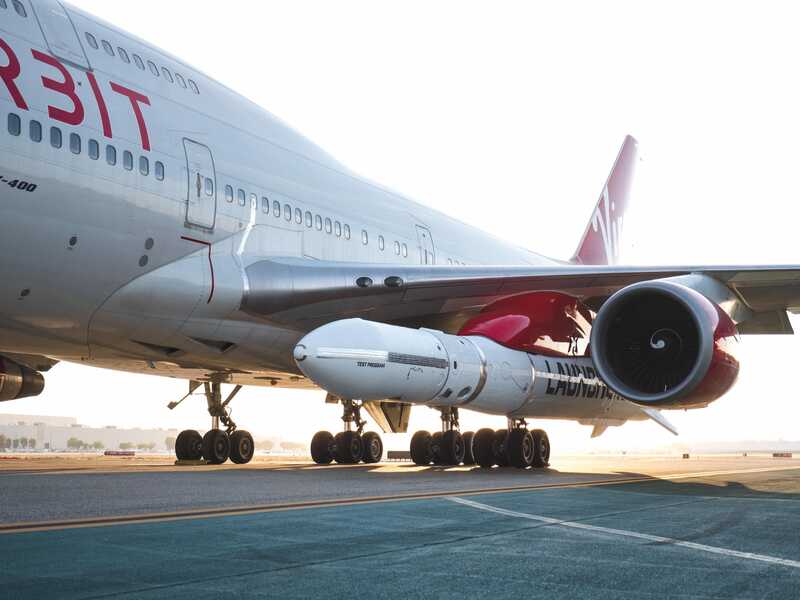 Virgin Orbit’s next step is to pull off a series of “captive carry” flights, in which Cosmic Girl takes off and flies around with LauncherOne attached to its wing. 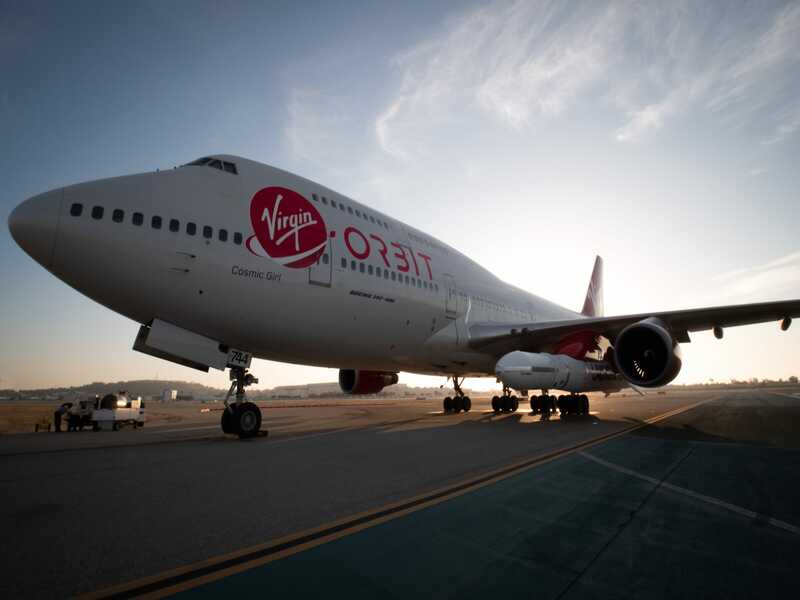 “The company already has hundreds of millions of dollars of launches on contract, for customers ranging from NASA and the US Department of Defence to new start-ups, and everything in between,” Virgin Orbit said in a press release.